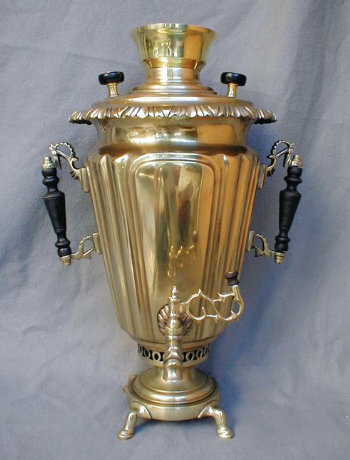 Conical shaped Samovar of polished yellow brass. Double paneled and fluted body sits atop a circular base with kneed feet. Folkloric vertical handles. 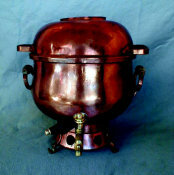 With hand made reproduction brass crown based on contemporary examples. 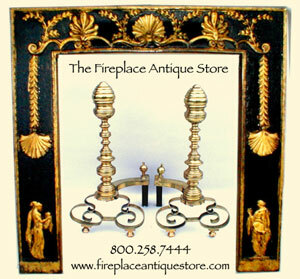 Beautiful stylized, foliated upper rim. 6 Design Awards and Medallion seals.